When word hit a few weeks ago that television actor Larry Hagman had passed away, I was genuinely upset. Not only is Hagman one of the few actors that actually manages to transcend his medium – but he also seemed like a really nice guy. 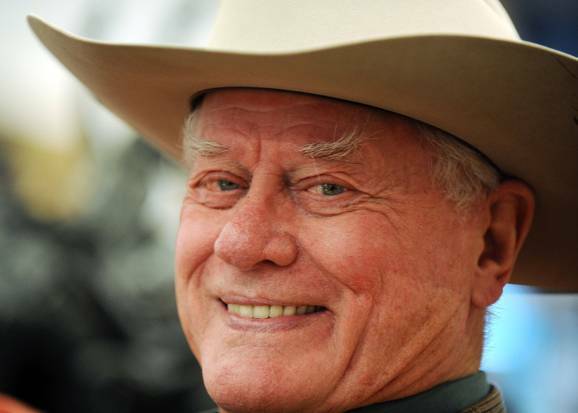 Hagman had been out of the limelight for more than a decade when TNT decided to relaunch ‘Dallas’ last year. I was understandably dubious about the endeavor – especially when I heard that the vapid Jesse Metcalf and Jordana Brewster were going to be a part of it. Let’s be honest, Metcalf isn’t exactly a great actor and Brewster is overshadowed by just about everyone – including Paul Walker and Vin Diesel (not Oscar winners themselves) on a regular basis. Still, I tuned in, and from the minute I heard that familiar television song I was hooked. TNT approached the show in a smart way. It made the younger generation of Ewings – particularly Christopher (Metcalf) and John Ross (Josh Henderson) – the focal point of the new show’s shenanigans. 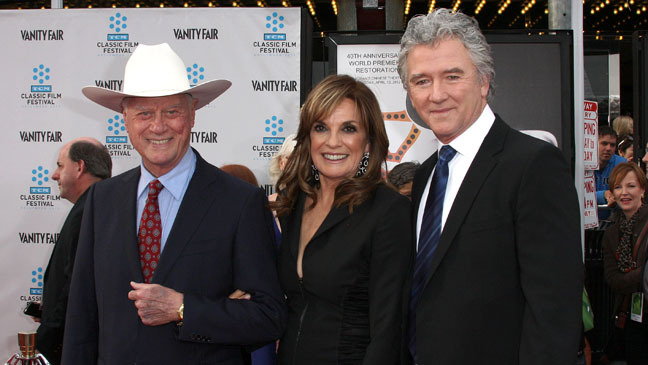 It also brought back favorites like Hagman, Patrick Duffy and Linda Gray as part of the regular cast. In addition to the main three, several familiar faces from the television show’s past also dropped by for visits – most notably Ken Kercheval and Charlete Tilton. 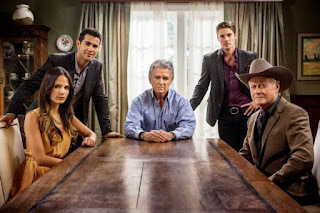 The new ‘Dallas’ formula worked because Christopher and John Ross’ battle was really Bobby and J.R.’s battle – and the adults were often waging it through their sons. Despite the animosity, though, the old family loyalty was also there. This was witnessed when John Ross was beaten up in prison and Bobby ran to his rescue in the first season, and this season when Bobby’s wife was arrested for shooting her ex-husband and J.R. promised to help Bobby solve the problem. Hagman had been in ill health for years, but his death still took most people by surprise. No one realized he was at death’s door. 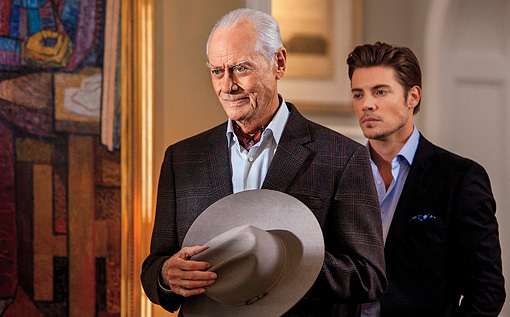 The past two episodes of ‘Dallas’ haven’t exactly flowed properly, but I think most fans (myself included) understand what the producers were going through with Hagman’s death. I’m looking forward to Monday’s episode – where we get to embark on another “Who Shot J.R.?” mystery. This version of ‘Dallas’ isn’t perfect. Metcalf and Brewster are bland as can be. However, Henderson’s John Ross is a hilarious amalgam of his mother and father. Julie Gonzalo has also been a hoot as Cliff Barnes’ devious daughter – who is now carrying Christopher’s twins – while burning up the sheets with John Ross. The story that has surprised me the most, though, is the gripping tale of Ann Ewing (Bobby’s wife) and her discovery that her daughter didn’t disappear from a county fair years ago like she thought. Instead, the girl (The Walking Dead’s Emma Bell) was kidnapped and raised by her father, a deliciously evil Mitch Pileggi (The X-Files). I think ‘Dallas’ has an imposing task ahead. Keeping viewers interested in the show following Hagman’s passing. It’s no secret that that the TNT drama’s second season ratings haven’t been stellar. I think the reason for that, though, is because TNT messed with a good thing. In other words, TNT shouldn’t have launched the show in the middle of winter when there was a glut of other programming on Monday nights. They should have kept it as addictive summer fare. I think the new ‘Dallas’ can survive – but it’s really a wait and see game. I know I am looking forward to the parade of past ‘Dallas’ characters returning to the show for Monday’s installment – which features the funeral of J.R. Ewing. What do you think? Can ‘Dallas’ survive without J.R.? GENERAL HOSPITAL: Who should be the new Lulu? What shows should be put out of their misery?